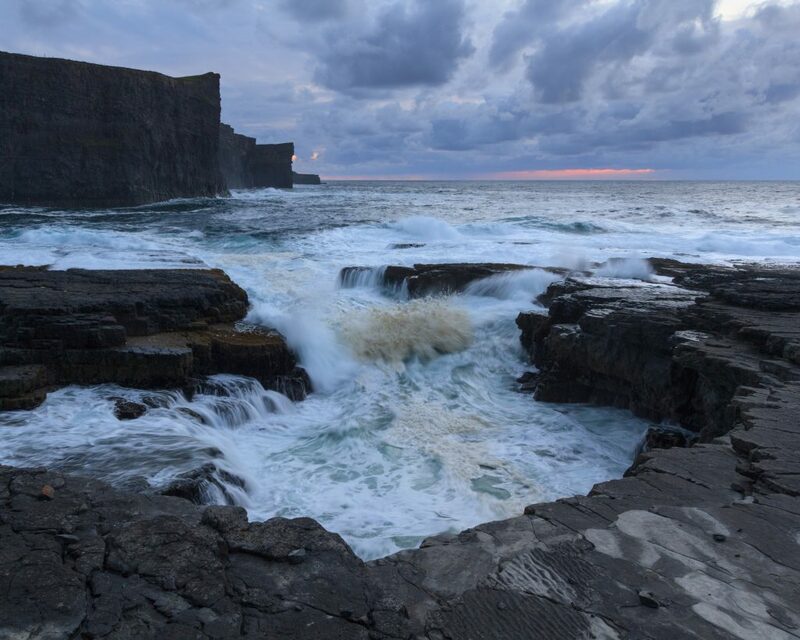 In this post, the fifth in the series about the Wild Atlantic Way’s hidden gems (the first covered Mayo, the second Galway, the third Cork, the fourth Kerry), Richard Creagh (co-author of Exploring Ireland’s Wild Atlantic Way) takes a look at county Clare. 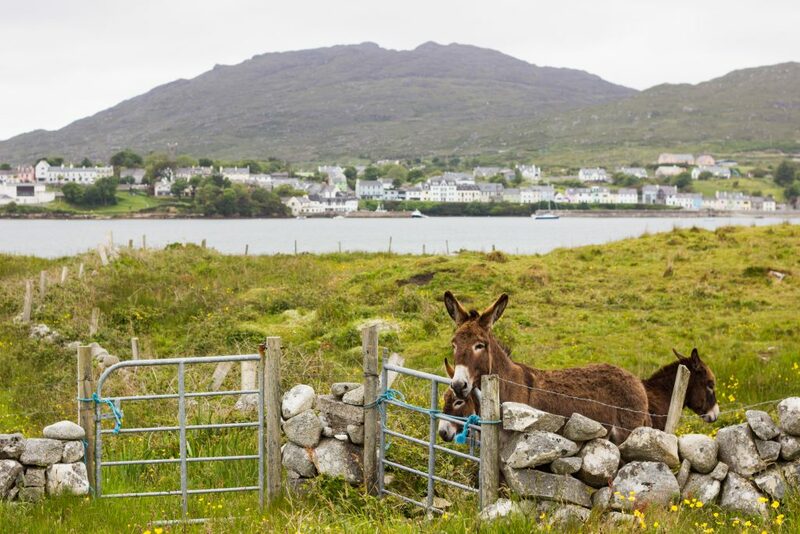 The west coast of Clare has a few big hitters in the tourism game but there are plenty of places that are still under the radar. Though I’m from Cork and live in Kerry I think this is the county I prefer the most, not least for the following five places. Carrigaholt’s biggest claim to fame is probably a very brief mention as “a beautiful spot” in the little known Irish film Perrier’s Bounty. Not many people know the film and I’m sure even fewer know the village. But it is indeed a beautiful spot, and the surrounding area has plenty going for it too. Not too far away in the village of Querrin (yes, I’m stretching the Carrigaholt thing a bit…) is Pure Camping, a fantastic site that caters to seasoned tent dwellers as well as camping virgins. If you haven’t brought your own shelter you can rent one of the gorgeous bell tents, furnished with everything you could need, including a wood stove for extra cosiness. 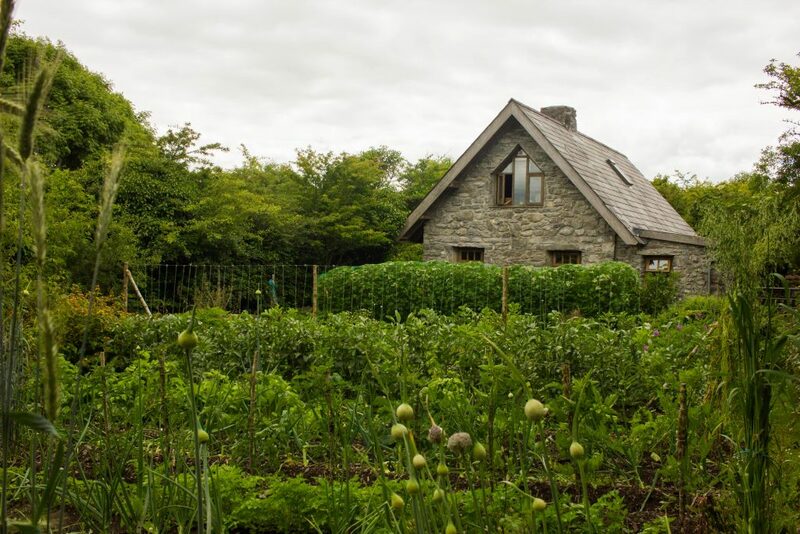 There’s a pizza oven, acres of native woodland, an on-site sauna and summer yoga classes. All in all it’s a more memorable affair than most campsites. After waking to the sound of birdsong and tree leaves rustling in the breeze you could head for Carrigaholt (ideally on a bike under the sun) and head for a swim at the beach or take a look at the old castle that stands over the new pier. 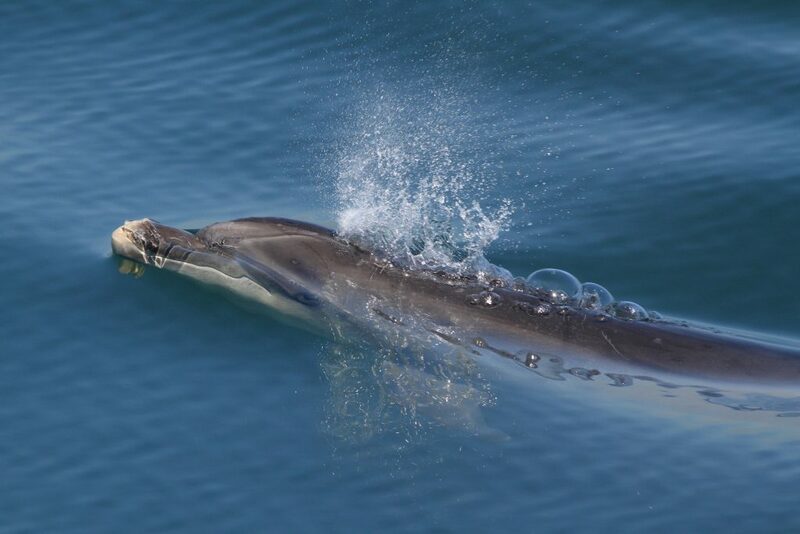 Make sure to book yourself on to a trip with Dolphinwatch Carrigaholt, who run boat tours out on the Mouth of the Shannon (Ireland’s largest river). The seas here are home to Europe’s largest group of resident bottlenose dolphins – most dolphins are on the move the whole time but the majority of these ones seem quite happy to stay here where the river and sea mingle. While wild animal sightings can never be guaranteed this company has a success record of over 95% and have been in business long enough to know what they’re doing. Plus, there’s a lot more going on here than dolphins. Seabirds and seals can be seen on the trip, as well as many marks of the area’s extensive maritime history and geology (which is world-famous among students of stone). The cliff scenery is superb, and trips to the North Kerry coast (as mentioned in the Kerry episode of this series) are particularly impressive. With a sea-air appetite built up you could head for The Long Dock, Carrigaholt’s award winning pub-restaurant. And a pub crawl afterwards should leave most people merry, off the off chance the rest of the day didn’t do it for you. The whole of the Loop Head Peninsula could easily be a single point on this list, under-appreciated as it is, but in the interest of being more specific I’ll focus on one particular point – that at the end of the peninsula. The lighthouse at Loop Head is one of the most popular sights for tourists in the area (and rightly so) but one of my favourite things to do during my time here was to sit at the end of the land just beyond it and watch a heaving sea. There are obvious dangers associated with hanging around cliff edges but with care it’s quite possible to safely enjoy the spectacle of wild water here at the ends of the earth. There are shelves of rock just beneath the sea’s surface off the tip of Loop Head that well travelled swells meet in a wondrous wave show. Heavy, steep waves can suddenly rear up here and the sights and sounds of their crashing are spectacular. Thousands of seabirds breed on the cliffs here in summer and can be seen cruising the wave’s ridges (and occasionally getting caught in the maelstrom). My favourite part of the show is a clapotis, a phenomenon feared by boat users all over the world. 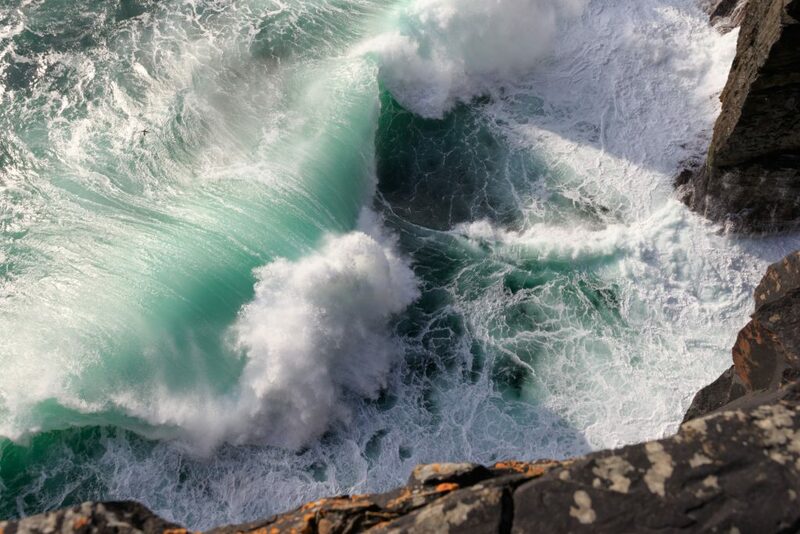 It happens when a wave is sent back out to sea after bouncing off steep cliffs and meets an incoming swell at the right moment for the two to explode upwards to incredible heights, in some cases over 30m here. Atlantic wildness indeed. It’s better than anything I’ve seen on a screen. 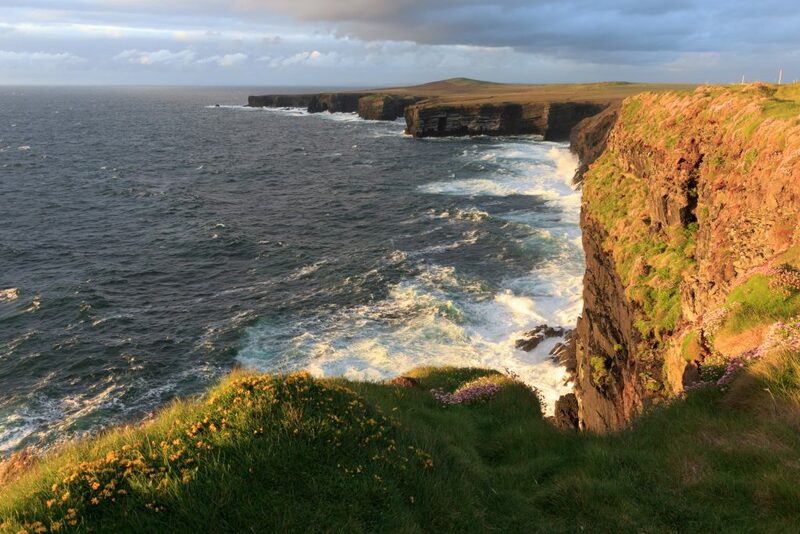 There are certain famous cliffs in Clare that seem to cast a shadow on most of the rest of the county’s coastline but their popularity doesn’t mean the rest of the seaboard here isn’t worth seeing. The cliffs at Baltard are stunning, and much less frequented than the hotspot I’m referring to, making for a more peaceful experience. A little outside the village of Doonbeg, this area is mostly known only to local shore fishermen but it’s worth seeking out. 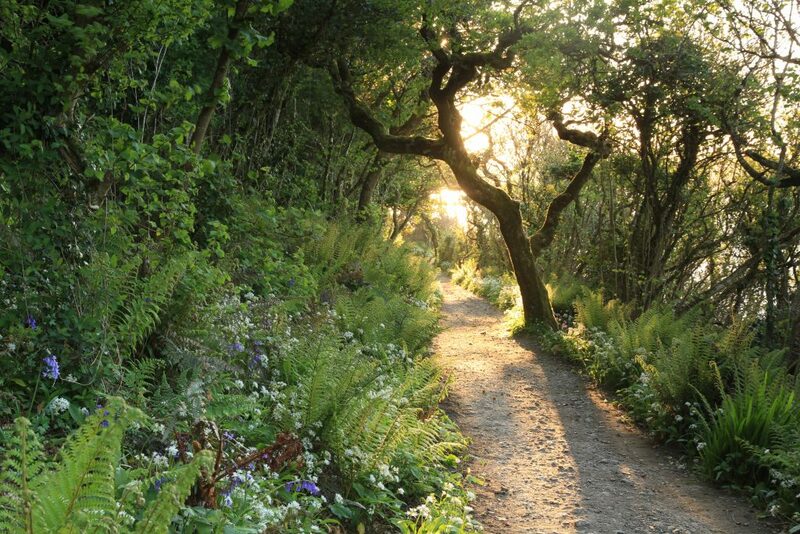 There’s no network of walking trails or typical tourism infrastructure but that’s part of the reason it’s on this list, and those that take the time to come here will likely be glad they did, even if it requires a little more effort. Enquire locally about access as walkers are not permitted in some of the farmland bordering the coast here. 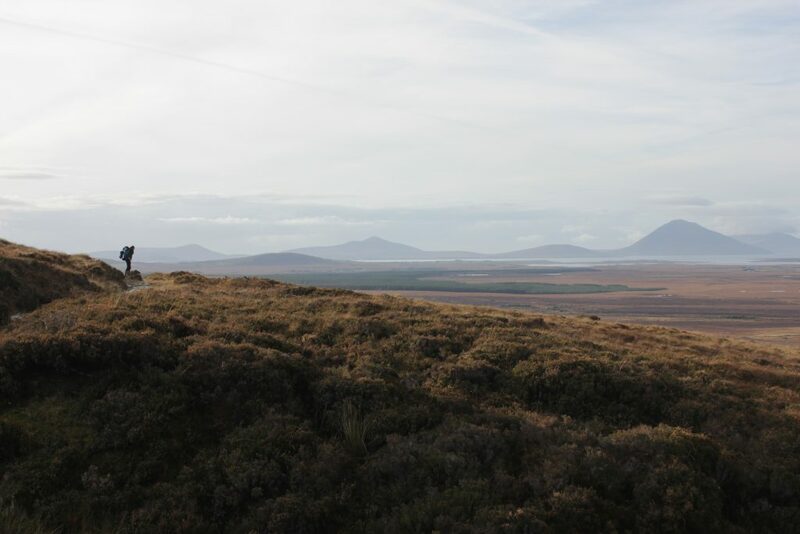 The limestone landscape of The Burren is an incredibly unusual one on the surface, but unbeknownst to most people it’s even more otherworldly below ground. Because it’s a relatively soft rock limestone is eroded rather quickly and most of the water that falls on this landscape finds its way underground through caves cut by the flowing water of many millennia. There are a couple of famous caves in the area which give a good taste of what lies beneath the landscape but for a more in-depth experience try a trip with locally based Back West Adventures. These subterranean adventures are run by cavers who have pioneered some of the passageways in the region, so they know what they’re at. All equipment is provided and the tours are tailored to the abilities of the participants. Some of the underground scenery is like nothing you can experience above ground and there’s a real sense of entering a wilderness that shuts the rest of the world away. 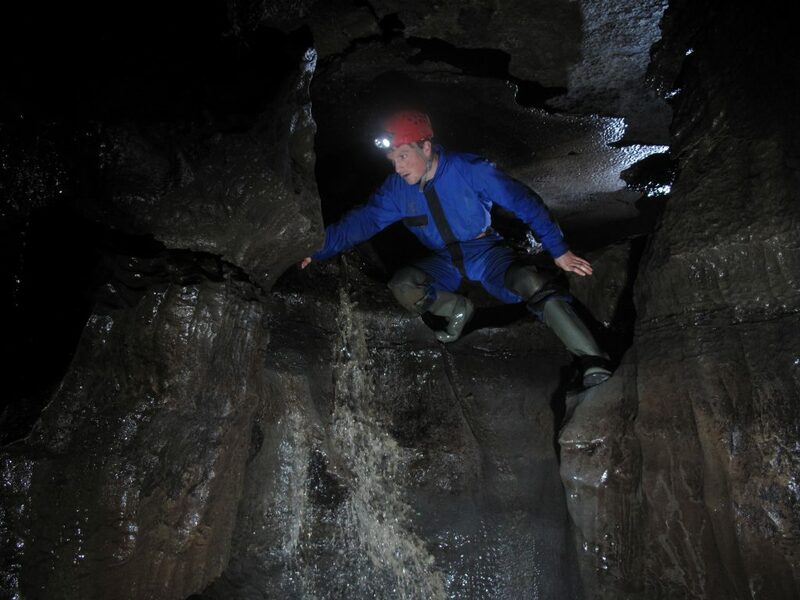 Crawling through tight constrictions and wading underground streams may not be everybody’s cup of tea but if you like an adventure then this is an outdoor experience you’re not going to find anywhere else in Ireland so easily. See fb.com/backwestadventures for more information. The real test of a hidden gem is if you are reluctant to go public with it for fear that the magic might be ruined. Lough Avalla definitely meets that criteria but seeing as we included it in the book then it probably should be on this list. Lough Avalla is a small lake hidden in the heart of the Burren not far from the iconic lopsided terraces of Mullaghmore mountain. The narrow winding paths and handmade hazel gates give the place an enchanted feel but the real magic here is in the people. Harry and Maria Jeuken and family have been running their cattle and goat farm for decades and most weekends they open their house as a cafe where they offer tea and coffee and beautiful home made treats, check out their facebook page. They greet every visitor like a long lost relative and are full of enthusiasm for the farm and its surroundings. I don’t think I have ever met a more friendly and welcoming family. A beautiful 6km signposted trail loops around the lake and the hillside above, see Irishtrails.ie for details including a map. Even though the walk isn’t that strenuous it crosses some rough ground so is only really suitable for those who are quite steady on their feet. It’s the best way to experience this wonderful place and don’t forget to pop into the tea room before you leave. If you are in any doubt about the quality of this trail read the comments at the link above.